Why you need a special hair dryer for curly hair? 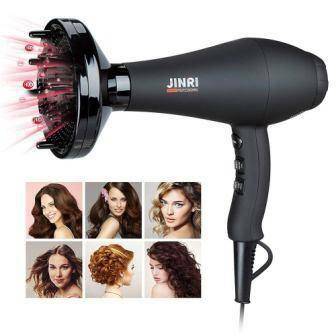 How to pick the best hair dryer for curly hair? Finding the best tools for you to use when you have hair of certain texture can be really difficult. Because it is different in structure, curly hair tends to encounter much more issues than straight. One of those problems is the one related to buying products and tools for your hair, especially those you use weekly. One of the most popular questions is what is the best hair dryer for curly hair? Let us give you a hand. Curly hair, straight hair, and African hair are all different in structure. Your hair is made up of a protein called keratin which comes in many shapes and forms. Some people naturally have more sulfur in their hair molecules and therefore have curly hair. It’s a true blessing sometimes because you can have the gorgeous natural texture many women have to pay for in salons. However, it’s mostly a curse. Finding those products and tools that fit you and your hair type can be difficult and expensive: trying out new stuff all of the time isn’t really the best thing that could happen to your wallet, right? Hair dryers for curly hair are one of those things that are either a hit or a miss. Sometimes it’s not even about the money, it’s just about the knowledge. Something you want to avoid when buying a blow dryer for curly hair is being oriented by the price and the brand. Of course, we often believe big brands because their products are high-quality, best-selling… However, the fact that some tool sells well doesn’t mean that it’s going to fit your hair type! Look for a hair dryer with diffuser for curly hair, because this way you’ll be able to minimize the texture created when you blow dry your hair. They spread the heat evenly while taming the curls and the result is a healthy, neat look. You also want to pay attention to heat settings! Many people that have “impossible-to-tame” curly hair actually have an issue with dry hair roots, lifeless hair. 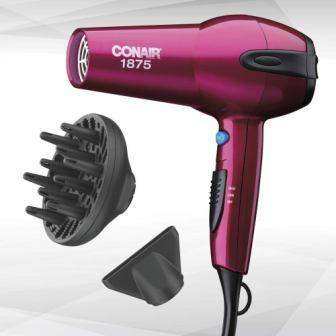 By getting a blow dryer for curly hair that works on ionic technology, you are making sure that your hair gets hydrated! We made some research about these technologies and functions and created this special list of 10 tools which seem to work for people with textured hair. We cannot tell you which one you need to choose, but we assure you that each one has the needed potential, according to reviews and stats we have encountered. This blow dryer is pretty popular amongst people with curly and straight hair because the quality-price ratio cannot be better! This is one of the most affordable high-quality products out there and many people claim that it’s the best hair dryer for curly hair. The thing is, Tourmaline Ceramic Technology built into this model helps you prevent heat damage, which is very important for textured hair. Frizzy hair looks much worse when you have curls because you easily end up looking messy. This dryer, besides helping you achieve a smooth look, also hydrates your hair which is really important for the overall health of your style. There are 3 heat and 2-speed settings that help you achieve a great hairstyle in a short period of time, all of the control in the world is in your hands. The cool shot option helps those that have trouble making a style that lasts. This is often an issue people with thick hair. If you are looking for something a bit more professional, we suggest you check this one out. It’s a product made specifically for thick and long hair because it has much more power than a regular blow dryer. It’s working in 1875 watts and has negative ionic technology integrated into it! This will help you achieve that smooth, silky look on your hair, which is really important to those who have more texture because they often have baby hairs that can barely be tamed! 3 heat and 2speed settings can be used along with the nozzles and the diffuser! We have previously mentioned the diffuser as something that is very useful for the above-mentioned hair type because of the heat distribution that makes blow drying much more healthy. 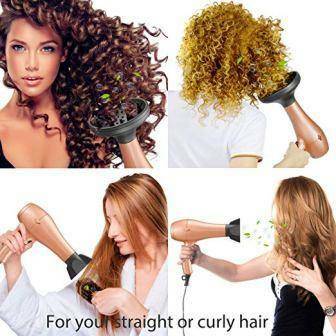 We are not sure to have we stressed this enough, but blow dryer attachments for curly hair are really important! They make the whole process much easier and much more comfortable! This specific model is coated with ceramic and infused with Nano Silver, Argan oil and Tourmaline. This makes the air more nutritious, moist if you wish. Your hair will avoid static electricity this way and you will end up with a smooth look! It is very lightweight which is perfect for those who usually struggle while drying their hair and the drying time itself is much shorter. You can use 3 heat settings and 2-speed settings, along with the cool air setting to lock in that volume. This product comes with a diffuser and you can easily switch it for another accessory. 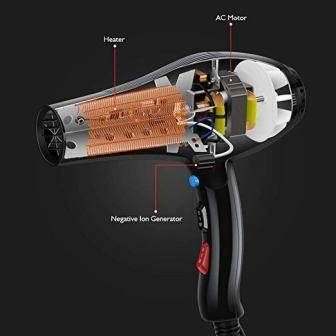 Pretty similar to the previous one, made from the same manufacturer, this model features ionic technology, infrared technology, a concentrator, a diffuser, a straightening comb, and a high-quality motor. However, it is less noisy and a bit more “sturdy” than the previously mentioned model. If you are wishing to get the best hair dryer for curly hair to be used at home, maybe this one should be your ultimate choice. You choose how much time you’re going to spend on your hair by deciding between the 3 heat settings and the 2-speed settings. The cool air button is also featured, no worries. This one is an investment, believe us. It is used by many professionals because of its strength and quality. Almost all of the previously mentioned models have about 1800 watts to work with while this blow dryer works like a charm thanks to 2200 watts that power it! Since it is used by professionals, it needs to have all of the healthy technology possible: ceramic technology, ionic technology, optimal airflow. It is pretty light for such a strong tool and the cord was made from an anti-tangle material that one may use without issues even in motion. The sound it makes ends up being about 70 decibels which are pretty quiet. Impressive, right? It is sturdy, high-quality, drop-proof and also has 3 heat settings and 2-speed settings. 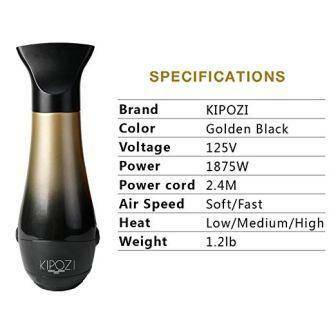 If you are looking for a product with great characteristics that are accompanied with fantastic design, you will surely be interested in KIPOZI’s work. 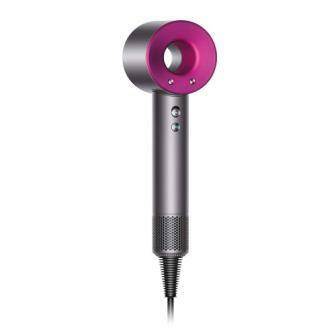 This blow dryer works on Nano Ionic technology and it leaves your hair shiny, smooth, silky. No more static electricity, frizzy hair and no more disobedient baby hairs. This product comes with a diffuser, a concentrator, and an ALCI safety plug. The plug is made to ensure your safety if any leakage happens. It’s a rare thing to see a manufacturer pay that much attention to this! 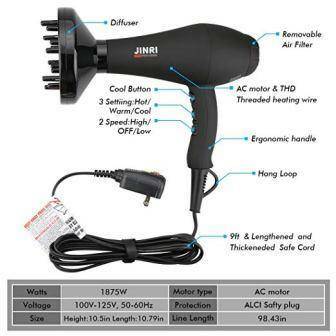 3 heat settings and two-speed settings along with the cool shot button make up most of the controllable functions of this blow dryer. You choose how delicate you want to be to your hair. This hair dryer is different from everything you’ve seen before. It’s a bit expensive, we are warning you, but the reviews prove that making an investment oftentimes pays off. This particular dryer helps prevent damage because the temperature of the air is being controlled by the dryer itself. It’s high technology that one surely is impressed by. The ultra-fast drying helps you get ready in a short period of time without the frizz and the electricity. One more thing that we don’t often see is the fact that this tool makes barely any sound, the motor is tuned to produce an inaudible one. It’s cool to touch so you don’t have to worry about getting burned. 4 heat settings and 3-speed settings give you just about enough control as you need. You’ve probably heard of Revlon before. It’s a mega-famous company that produces many hair products and tools. They became popular because their products are made for various hair types and problems, and so is this one. The triple ceramic in this device is made for even heat distribution, and the ionic technology helps with moisture and hydration. The cold shot button is featured, just like in other devices, in order to help with locking in the hairstyle. 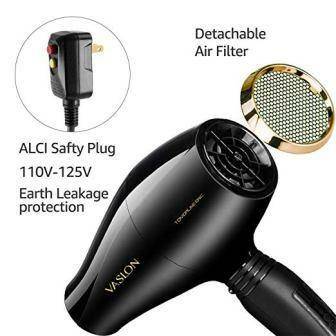 The last product we will focus on is this high-power dryer that works with ceramic and negative ionic technology. What’s special about it is that it has the ETL & Rohs safety certification! Besides, this model features 3 heat settings, 2-speed settings, nozzles, and diffusers. It’s perfect for those who have trouble finding the right combination of warmth and pressure. You can be all specific you want with this one! People claim that this product helped them avoid damage by using lower temperatures and the technologies integrated into the products alone. We have already talked about the negative ion technology that helps your hair retain moisture, but have we told you about the infrared technology? It heats your hair from the inside, which means that the outside stays as hydrated as possible and there will be barely any damage. 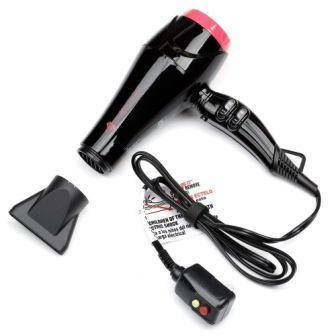 This particular blow dryer can be used with 2 speeds and 3 heat settings. You can use the diffuser that comes with it, the straightening comb that is also in the package, or maybe the concentrator. In the end, it’s all up to personal preference. For those with a lot of texture, we would suggest the diffuser. 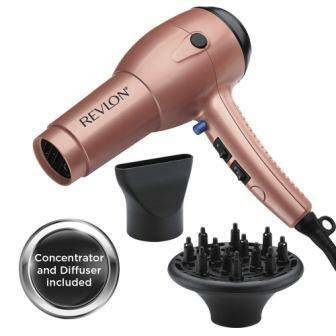 It evenly distributes heat all over the head and you won’t over-dry your hair anymore. What is the best hair dryer for curly hair? Well, that question is quite hard to answer. If you have specific settings in mind, those that need to be included in the product, you might as well just browse through our list and find the one that suits you most. 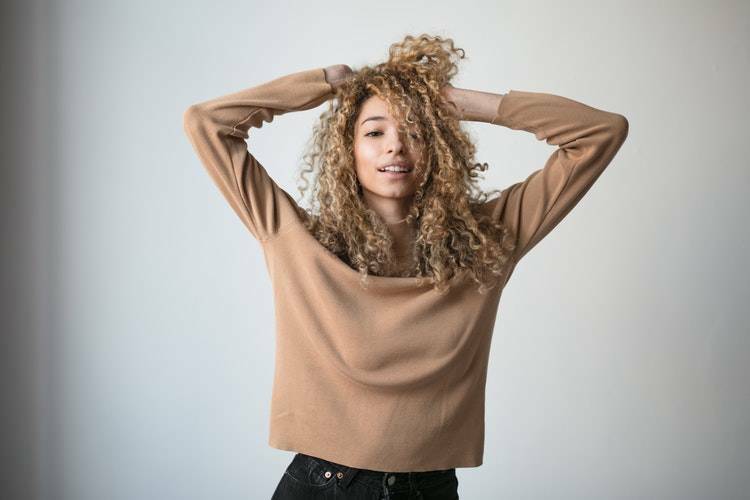 If you don’t have anything in mind, you can check out the reviews and find the model that seems to do a great job for people who have similar hair texture as you do. Pictures will be the most helpful thing you will find amongst other people’s opinions. However, the whole thing is all up to personal preference. 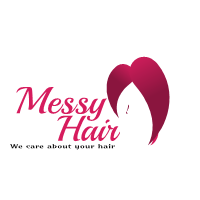 MessyHair.net participates in the Amazon Services LLC Associates Program, an affiliate advertising program designed to provide a means for sites to earn advertising fees by advertising and linking to Amazon.com. Messy Hair Copyright © 2019.